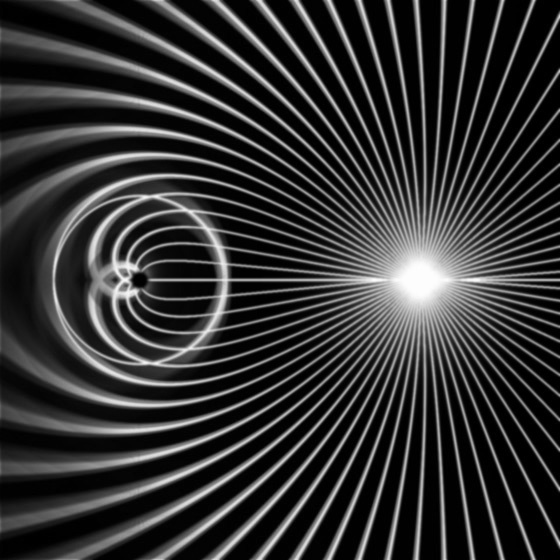 Here are some physics simulations and artwork along with some Mathematica code. 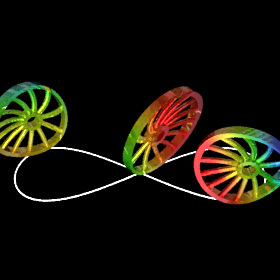 See also my Fluid Motion page. 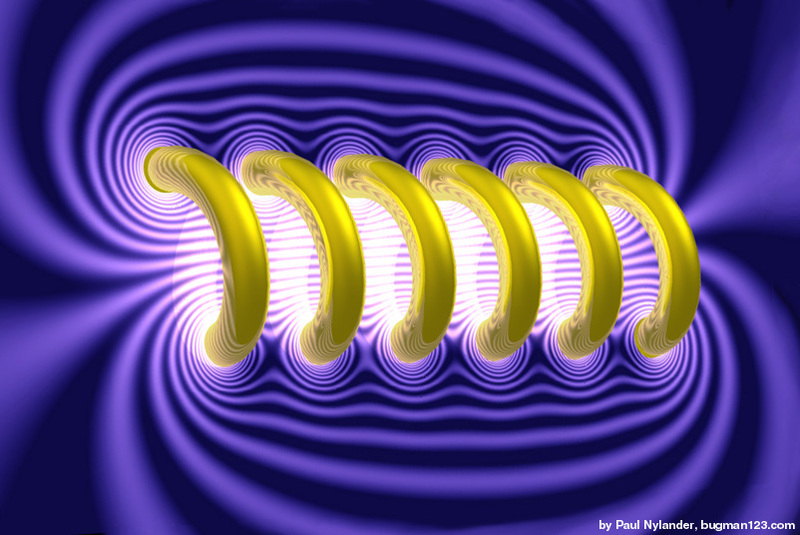 This image was featured on the September 2009 cover of Physics Today magazine. 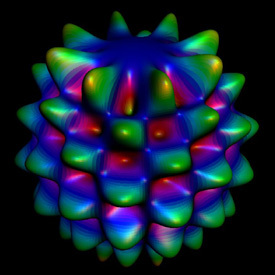 You can also see an older version of this picture on Jeff Bryant’s Mathematica visualization site. 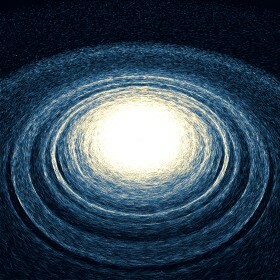 This ray traced image was inspired from Werner Benger's simulation of Earth as a black hole. 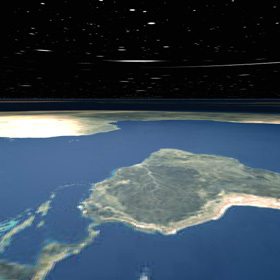 The reason for using Earth in this example is to provide a familiar reference point to help you perceive the distortion. 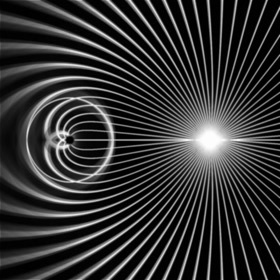 The first animation shows rotation, the second animation shows the mass steadily increasing while everything else is kept stationary (notice the Einstein ring in the stars), and the third animation shows what a viewer would see while in orbit at the photon sphere. 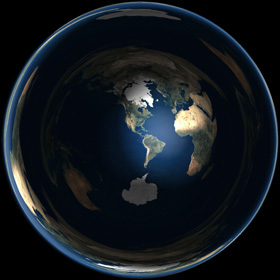 Technically, the Earth would become invisible once the Schwarzschild radius exceeded the Earth's actual radius, but I am ignoring that here. 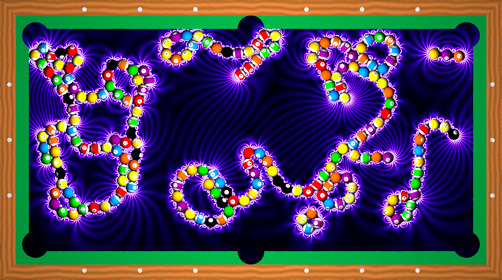 I've heard people tell me that there are professional pool players who can pocket a full triangle of 15 tightly packed billiard balls on a single break. 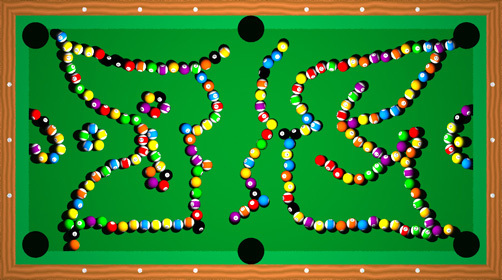 But based on what I read in this article, it sounds unlikely that anyone can pocket more than 7 balls on the break. 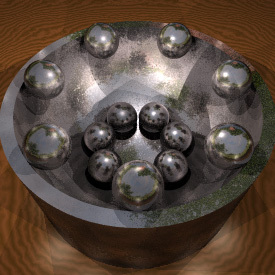 However, if the cue ball was struck with superhuman speed, then perhaps it might be possible to pocket all the balls, because the balls would move greater distances, thereby covering more territory (I think this would be an interesting experiment for Myth Busters to test). 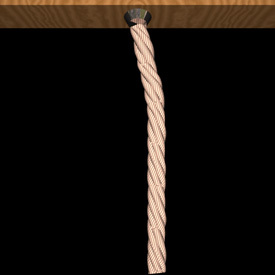 In order to test this theory, I simulated many different breaks, by launching the cue ball at various speeds and angles. 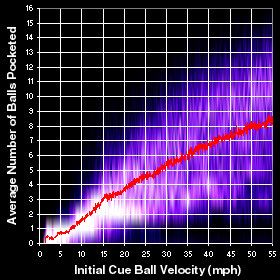 The slowest scenario I found that could pocket all the balls had a cue ball initial speed of 34 mph (real life players can strike the cue ball up to about 27 mph). 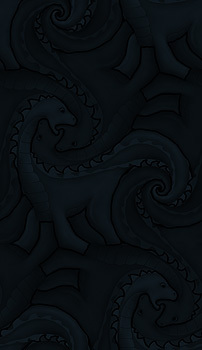 The fractal image on the left summarizes the results. 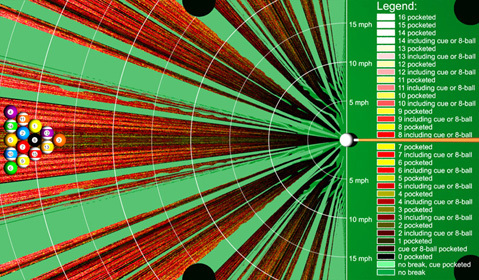 You may notice from this image that your best bet is to aim off-center if you want to pocket as many balls as possible. 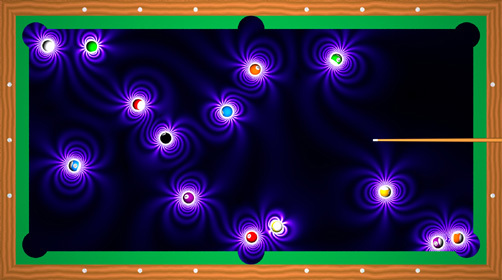 Suppose you had a special pool table that could visualize the magnetic field of magnetized billiard balls on the surface of the table. But that's cheating you say? 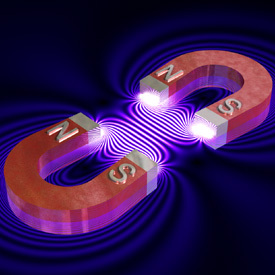 True, but it would also make an interesting way to study the physics of magnetism. Perhaps something like this could be created for a children's science museum. 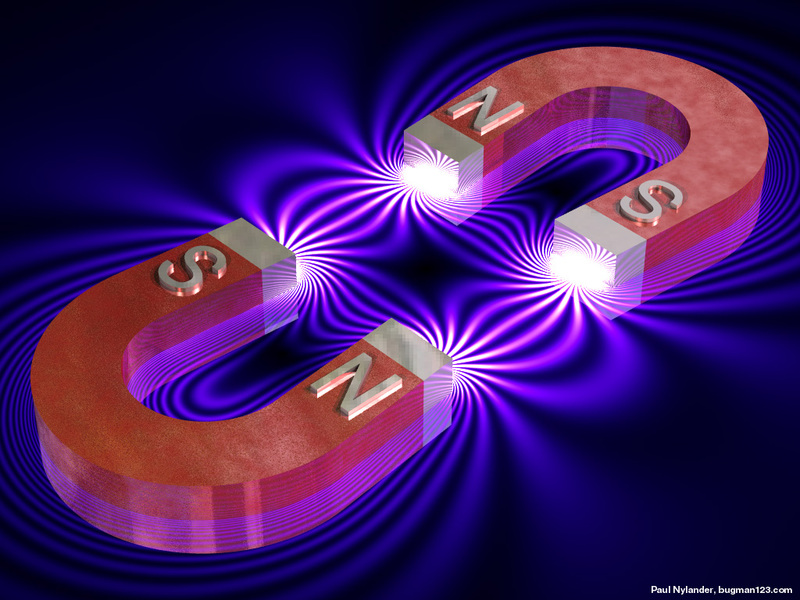 The magnetic field in these simulations was calculated using the simple formula for the magnetic field of uniformly magnetized spheres and the forces and torques were calculated using the formulas for induced force and torque on small magnets. 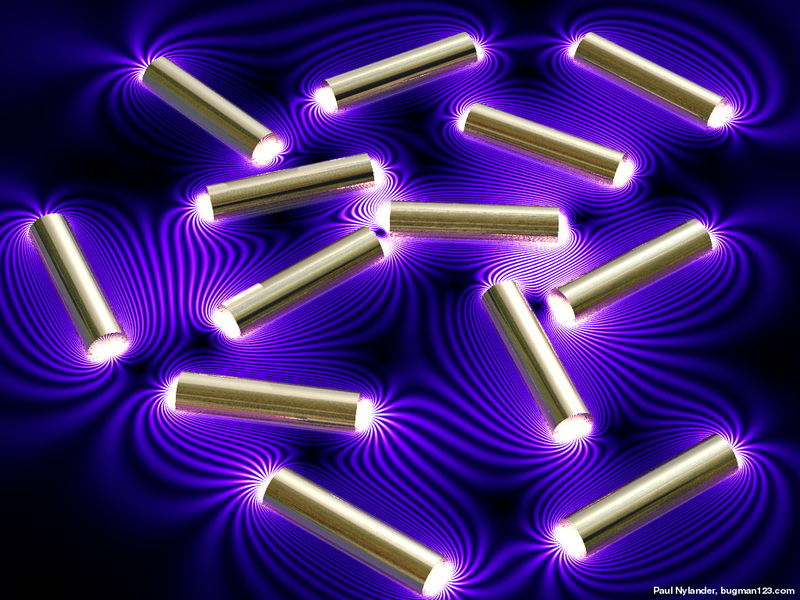 If you increase the magnetic field strength and the number of billiard balls, interesting structures can emerge, similar to the way molecules are formed. 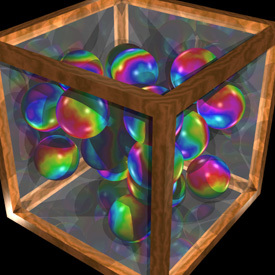 Here is a box of frictionless bouncy balls with gravity. 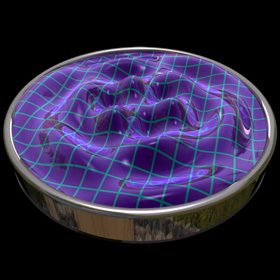 The balls don’t rotate and never stop bouncing because there is no friction. 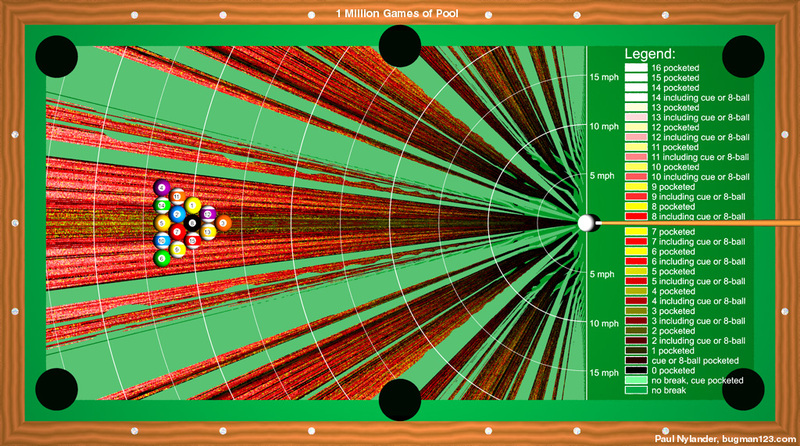 This simulation uses the same basic Mathematica code as the pool table simulation shown above. 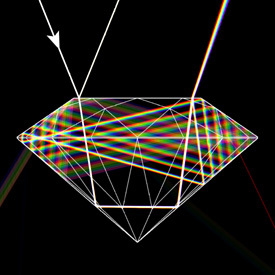 Diamonds have a high index of refraction (n = 2.4195) and coefficient of dispersion (COD = 0.044). 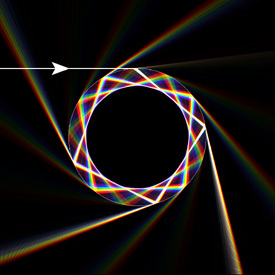 When light reaches a boundary, it can refract or reflect, in proportion to the Fresnel Reflection Coefficient. 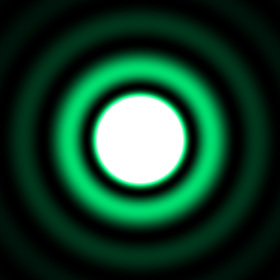 The angle of the refracted light is given by Snell’s Law: n1sin(θ1) = n2sin(θ2). See also Sellmeier equation. Click here to see my rock and gemstone collection. 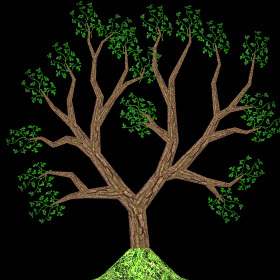 Here is a simulation of how a tree might move on a windy day. 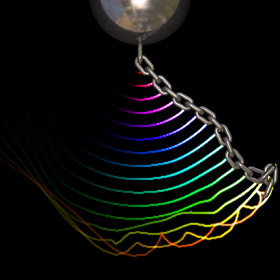 This simulation is based on the same algorithm as the N-Linked Pendulum except it has multiple branches of arbitray length, mass, and rigidity. 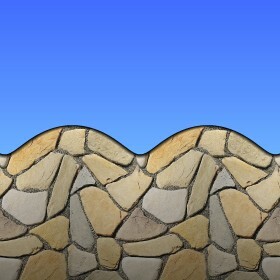 Although this method is very precise, it is also very slow. 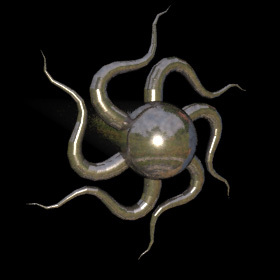 See also my family tree rendering. 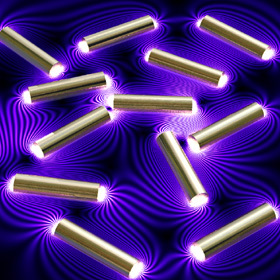 GADGET - free cosmological Smoothed Particle Hydrodynamics (SPH) program, by Volker Springel at the Max Planck Institute for Astrophysics. 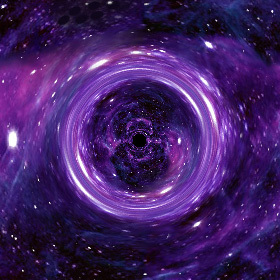 Click here to see an impressive animation of colliding galaxies with black holes. 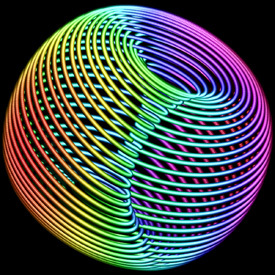 Gravitation3D - Flash program by Roice Nelson, et al. 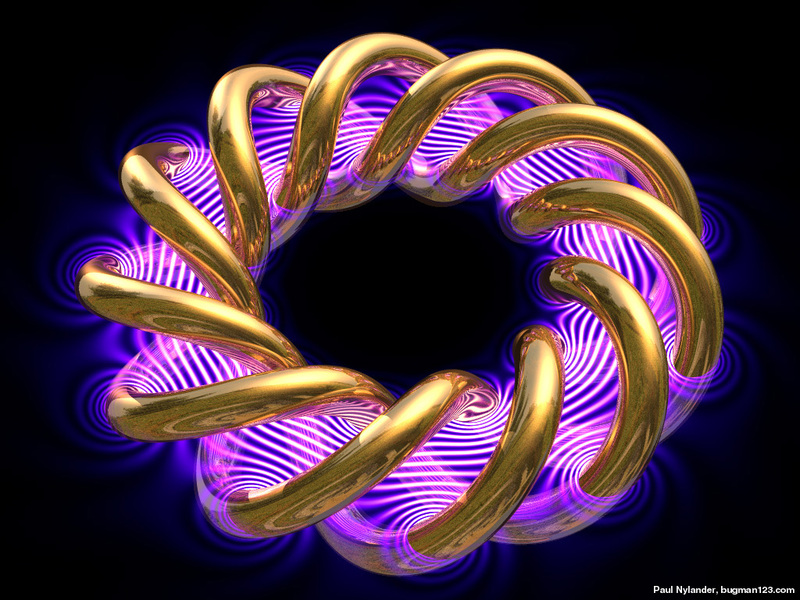 Breakthrough Propulsion Physics (BPP) - is warp drive possible? 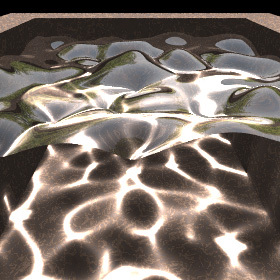 This water-like surface was generated in Mathematica using frequency filtered random noise, and then it was raytraced in POV-Ray and water caustics were added using Henrik Jensen’s photon mapping technique. 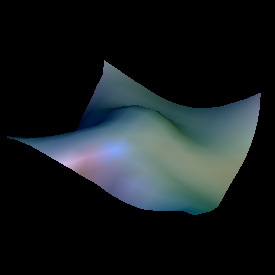 The smooth_triangle command was used for phong normal interpolation of the water’s surface. 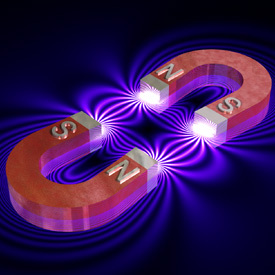 These magnetic fields were made using the same technique as the solenoid picture. 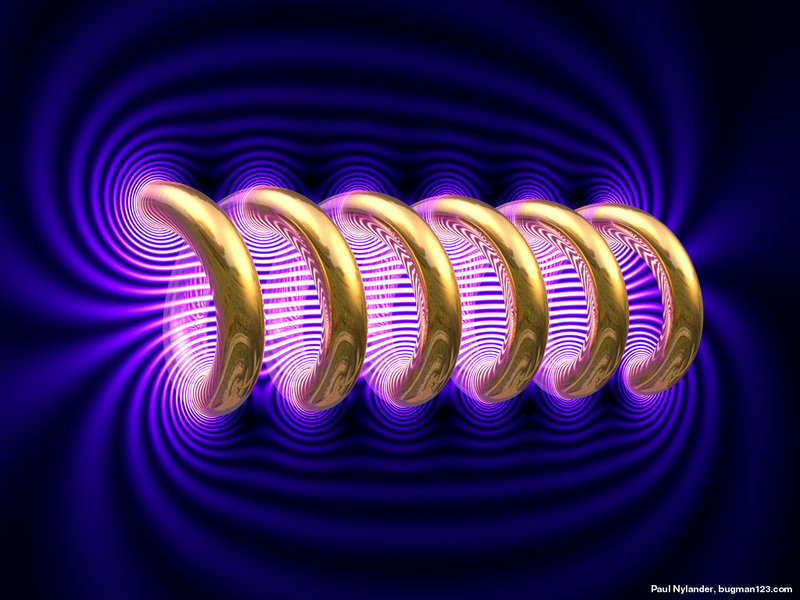 Click here to read more about spherical harmonics. 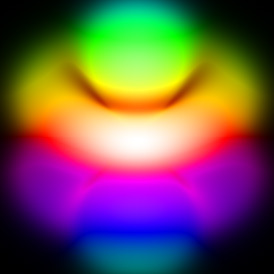 Here is a 3D view of a hydrogren atom in the 4f state. 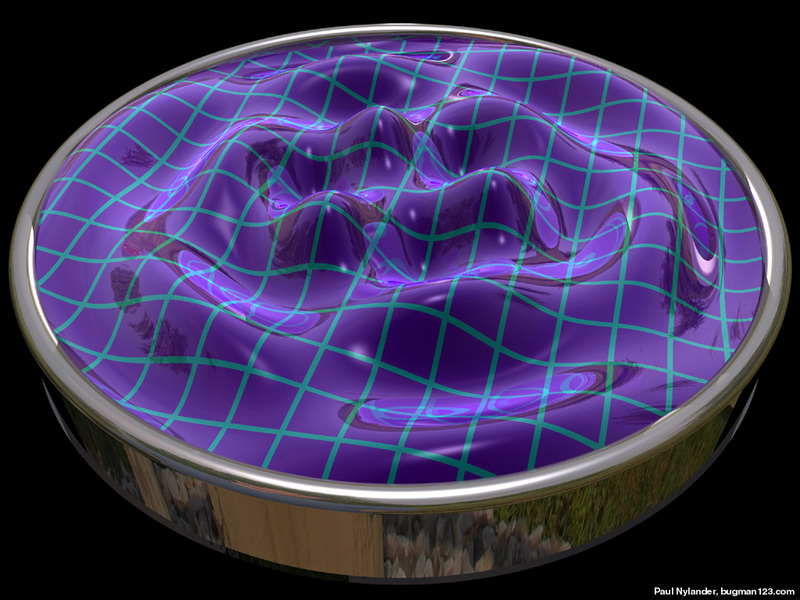 The left image was made in C++ using a technique described by Krzysztof Marczak to make it volumetric like a cloud of smoke. 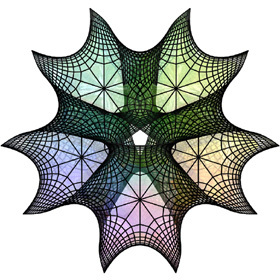 The right image was made in Mathematica by adding 2D cross-sectional layers. 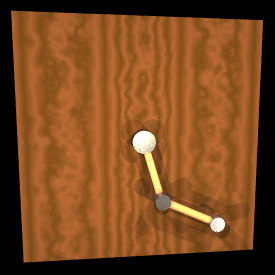 The animations were made in POV-Ray using DF3 density files. 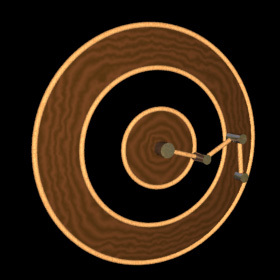 The right animation shows what a "12o" orbital might look like. 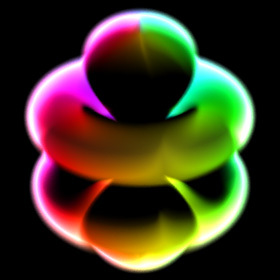 Atomic Orbital - time-dependant hydrogen atom simulation, by ? 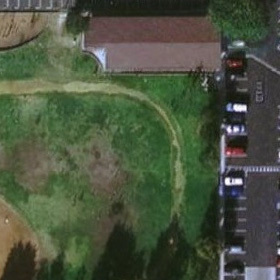 I made this using Google Maps. 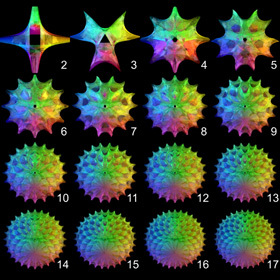 Mode displacement plots of the 19th, 28th, and 45th modes, respectively, from left to right. Click here to see a holographic interferogram of a real violin. 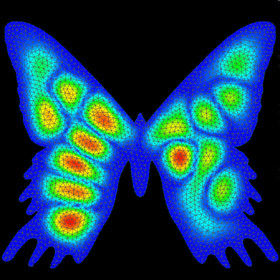 Mode displacement plot of the 18th mode of a Sunset Moth-Shaped Membrane. 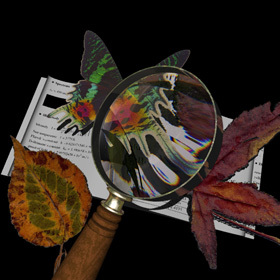 This magnifying glass demonstrates refraction and dispersion. 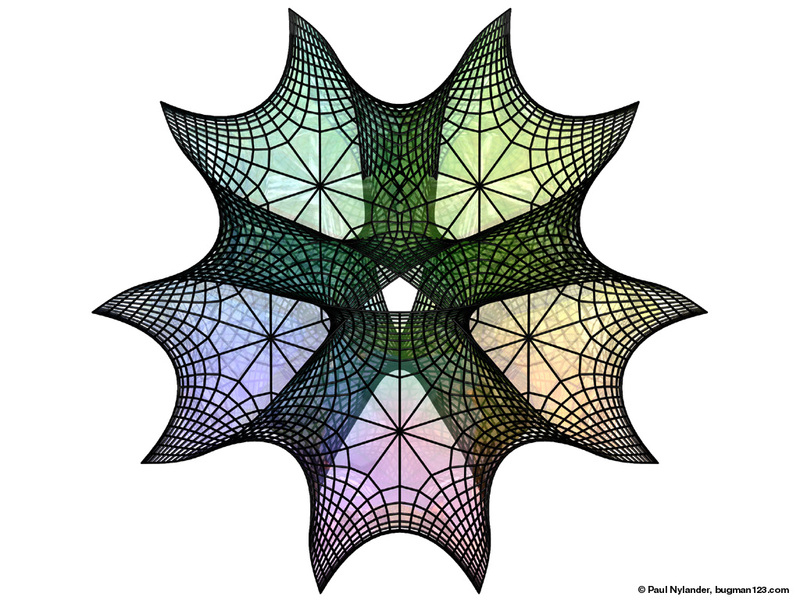 The magnifying glass was created by intersecting two paraboloids. 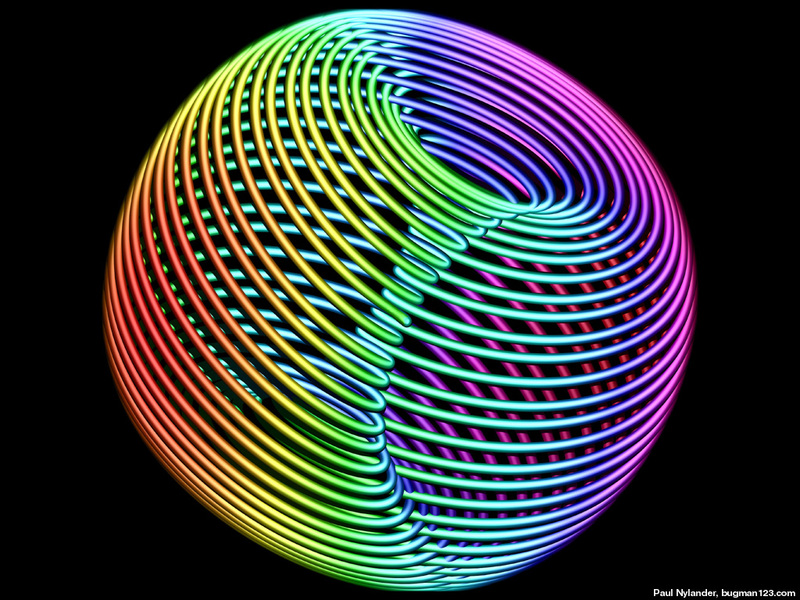 The spheres in this frictionless bowl move like spherical pendulums. 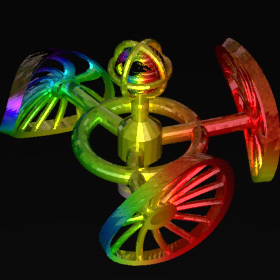 See also my magnetic pendulum fractals. 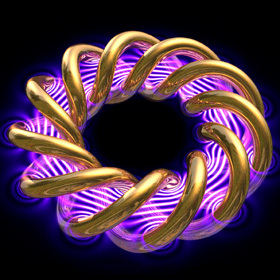 Cloth Animations - by Ron Fedkiw, Robert Bridson, et al. 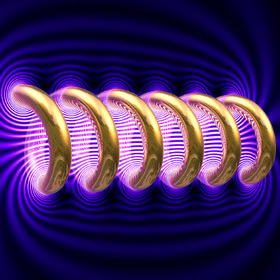 See also my Physics Experiments links.